This is the centrepiece of my '50 Years of Batik' exhibition. 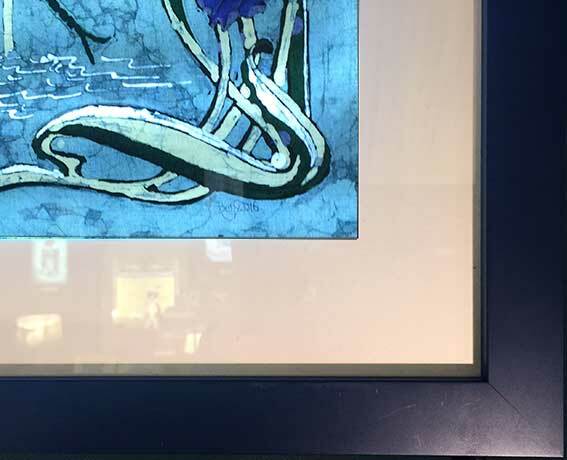 It encompasses my love of the art nouveau style with its free-flowing lines, the organic curves of the irises and the 'cracked' texture portraying the delicate wings of the dragonflies. I have used extensive cracking of the wax to give the lively movement in the water. The 'Irises & Dragonflies' design also is available as a lampshade.